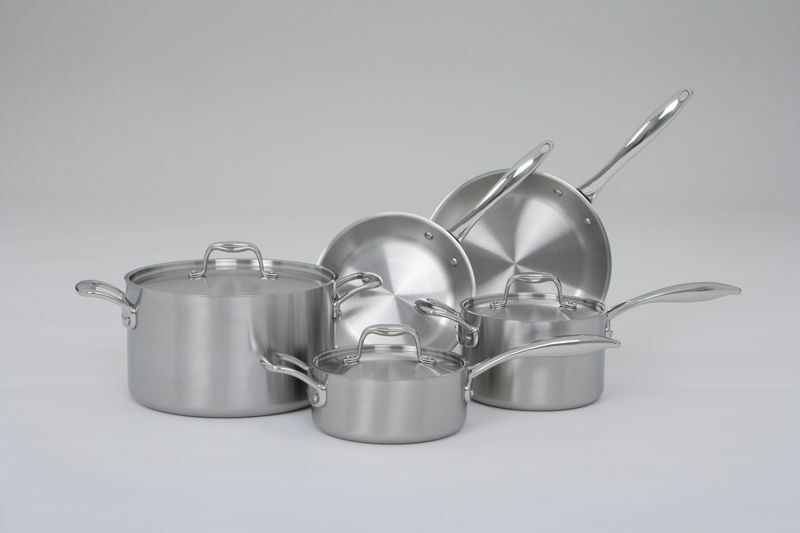 For the serious home chef, there's nothing more important than a high quality set of cookware. That's why when BlueStar offered to send me an 8 piece cookware set, I jumped at the chance. 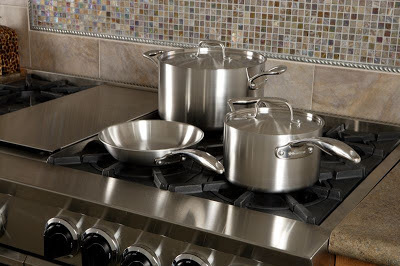 BlueStar makes handcrafted, restaurant-quality ranges and cookware for the home chef. Their cookware features a thin layer of aluminum wrapped in two layers of profession grade stainless steel—this means that it conducts heat quickly and disperses it evenly. Both are essential for cooking. Over the last week, I took the cookware out for a spin—and it more than delivers. Handmade in Pennsylvania, the cookware looks great. It also heated quickly and evenly, the two most important factors in my opinion. I made everything from a tofu and vegetable stir fry, to a rice pilaf with golden raisins and slivered almonds, to my egg and greens scrambles in the morning. What's more, it can go in the oven and tolerate temperatures up to 500 degrees (another huge plus in my opinion, as I often like to go from the stovetop to the oven with my dishes). I'm excited to have these pans as a new addition to my kitchen. I'm sure you will see them in my photographs going forward. In addition to their cookware, BlueStar is known for their professional quality ranges for the residential market. I haven't had a chance to try them out myself, but here's a video of NYC Chef Marcus Samuelsson cooking with one. They come in a gorgeous variety of colors, and I will definitely investigate them when I finally get to design my own kitchen. One Day. Sigh. I can always dream, can't I? 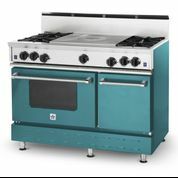 For the best range available, chefs and home cooks alike turn to BlueStar. Our restaurant-quality stoves are designed to perform at standards chefs expect and are also tailored perfectly to you. By combining our open burner system with our signature "blue star" patterned flame, our 22,000 BTU burners create an intense heat - perfect for rapid boil, high heat sear or the perfect saute. You'll also have access to a nearly infinite amount of configuration options and 190 standard color options so you can show off your personal style in a handcrafted range that will set your kitchen apart. Disclaimer: While I did not receive compensation for this review, the company did send me free products to sample. However, the opinions expressed herein are my own.